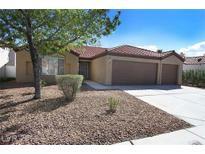 Below you can view all the homes for sale in the Las Brisas Norte subdivision located in North Las Vegas Nevada. Listings in Las Brisas Norte are updated daily from data we receive from the Las Vegas multiple listing service. To learn more about any of these homes or to receive custom notifications when a new property is listed for sale in Las Brisas Norte, give us a call at 702-323-5963. THIS IS WHAT YOU HAVE BEEN WAITING FOR Beautiful 1 story,huge corner lot,NO HOA,covered patio,pool size back yard,spa,maintenance free front/back yard,& room for Boat/RV parking.UPGRADED Laminate flooring throughout.Open floor plan living room w/fireplace Vaulted ceiling leading to French door accessing a leisure outdoor back yard 4 the whole family to enjoy.Ceiling fans throughout.Centrally located by shopping,dinning,parks schools MLS#2085802. 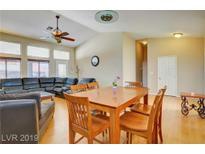 Compass Realty & Management, L.
This Home comes with a One Free year of Homeowners Warranty. MLS#2086313. RE/MAX CENTRAL. Sq Ftg does not include Garage or enclosed Patio. VALUE +++ MLS#2084380. Spot Las Vegas. Back yard with pool/spa, garden area, built-in covered patio and paved sitting area. MLS#2074145. Keller Williams Realty Las Vegas. Corner Lot, one of the largest lots and floorplans in the neighborhood MLS#2074330. Keller Williams Market Place I. Home comes with a 30-day buyback guarantee. Terms and conditions apply. 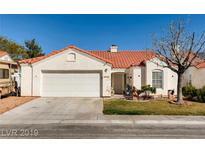 MLS#2070848. Opendoor Brokerage LLC. Beautiful home with 3 bedrooms 2 full baths in a Wonderful neighborhood, big corner lot, warm and cozy fireplace well maintained property with established landscaping, spacious dining area, high ceilings in all the living areas nice covered patio for lounging, Great location with elementary school and a park/community center less than a quarter mile away MLS#2070832. Home Connect America. Upgraded features include fresh interior paint and new carpet and vinyl in select rooms. MLS#2068281. Opendoor Brokerage LLC. 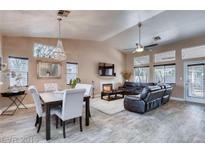 Beautiful single story home with RV/Boat parking / gate* Over 2000 square feet with 3 bedrooms and 2 full baths* Bonus room with built in bar*Oversized eat in kitchen with an island, granite counters*Living room with a gas fireplace*Master separate with walk in closet*Master bath has dual sinks and granite counter tops*Cul de Sac lot*RV / Boat parking* Above ground spa* MLS#2068149. BHHS Nevada Properties. Show today and sell. Complete pride of ownership. MLS#2066698. Realty ONE Group, Inc.
Large covered patio with sparkling pool. MLS#2065513. Premier International Estates. Upgraded features include fresh interior paint. MLS#2061771. OD Nevada Brokerage, LLC. Nearby shopping, dining, schools, parks and more. Must see! MLS#2060489. Coldwell Banker Premier.